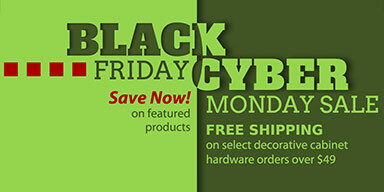 Black Friday-Cyber Monday Deals - Spokane Hardware Supply, Inc. Although, we are taking Friday, November 27th off for the holiday, we're still working for you with these Black Friday Specials going throughout the weekend and Monday, November 30th. We wish you a Happy Thanksgiving! No comments on this article, be the first to post! Welcome to Spokane Hardware Supply, Inc. It is no secret that, since 1945, we have provided great products and excellent customer service the old fashioned way! Continuing this core tradition, we are pleased to now offer a convenient way to preview, research, compare and purchase products online... at your convenience, at The Hardware Hut. It is our company's goal, in this ever changing world that we all live in, to continue to provide you with new and unique quality hardware items. © 1999-2019 Spokane Hardware Supply, Inc. All trademarks, trade names, logos and service marks referenced belong to their respective companies.